One fateful day in March of 2015, John Getchell, having stirred from a long, cold, snowy Maine winter, found himself shopping in a big-box store south of Portland, where he encountered an internally-illuminated portable marquee, of the kind most often seen bearing Bible verses outside churches. John had a little revelation right then. 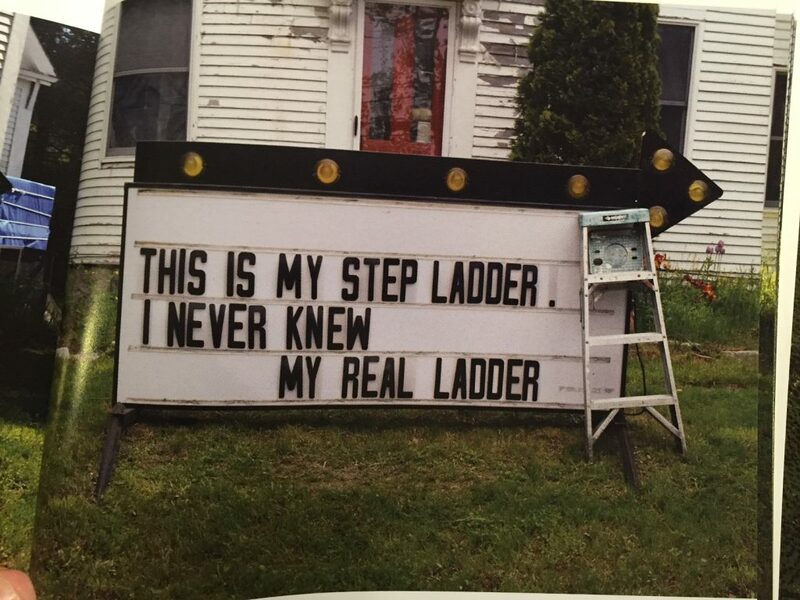 He bought the internally-illuminated portable marquee, set it up on his front lawn along a well-traveled road in his Maine neighborhood, and began posting his thoughts for the day—every day. 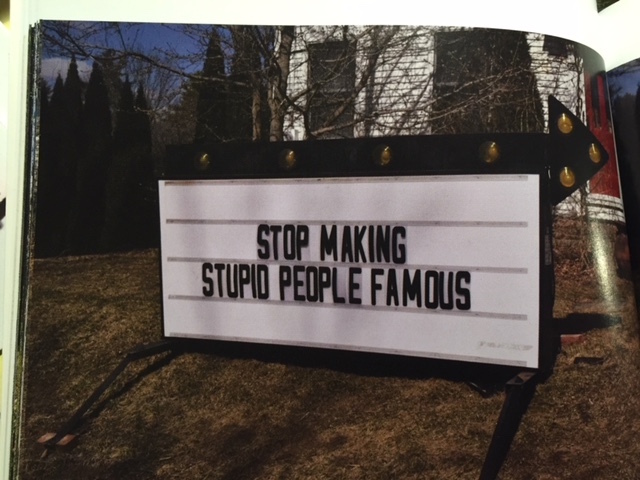 And so it came to pass that Maine got one of its most eccentric roadside attractions and the rest of us got the musing, amusing gospel according to John the aphorist, in Sign of the Apocalypse: Ruminations and Wit from An American Roadside Prophet. Wherever you turn in Sign of the Apocalypse, you find unmistakable signs of Getchell’s warm, funny, insightful intelligence at work.